What makes an ordinary summer epic? For many, it’s camp: new friendships, challenges and experiences. Take Action Camp is this and more. Here, campers discover their power to be a change-maker. It’s not just a summer memory—it’s inspiration to last a lifetime, a jumping-off point to making a difference in their community and world. The Me to We program was begun to promote social activism, particularly around global humanitarian issues. That said, as the name and the programs predicate, the beginning point is allowing youth to learn how they, quite literally, can change the world through adopting leadership roles within their communities and beyond. The Me to We Take Action Camps are based in Canada and hosted in two locations in Ontario and one in Arizona. They are, in every way, an expression of the values and the goals of the larger Me to We organization. At the camps, kids have an opportunity to come together to spend a week with like-minded peers in order to grow their sense of agency as well their leadership, communication, and teamwork skills. The camps are fun, to be sure, but they’re also presented as a beginning, in a sense, of what the kids will then do in their communities and beyond. For many, the experience can be a transformative one, and certainly, that’s the goal that serves as a foundation for the camps. Hello Take Action Camp Families and Friends! Take Action Camp is a week-long social justice and leadership camp run by ME to WE and WE Charity. We equip and empower young people with the tangible tools needed to address issues in their local and global communities, while having fun outdoors and fostering life-long friendships. 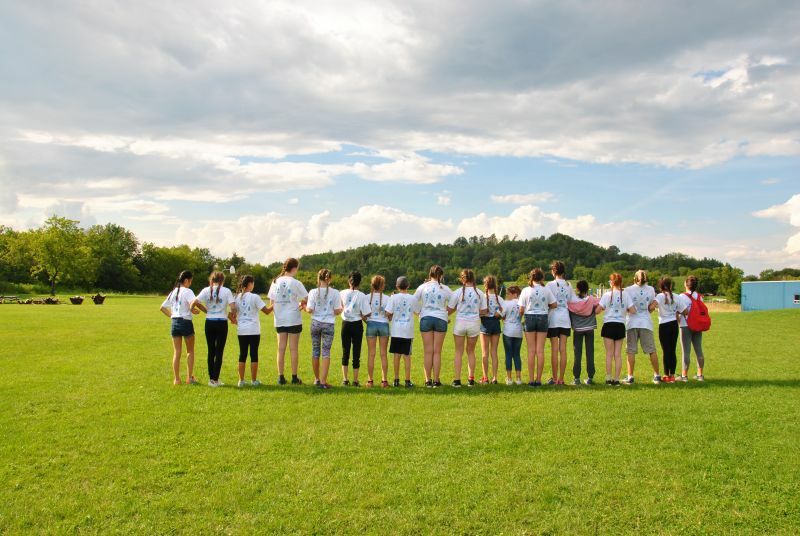 Take Action Camp aims to create an inclusive environment where campers can express who they truly are, connect with like-minded young people, and understand that they are not alone in wanting to create a better world. We pride ourselves on creating new and innovative programming each year that challenges youth to think creatively, and work collaboratively to learn about our global community. We continue to hire staff that are equipped with the training and experience to create a safe and inclusive environment for all campers all while having fun! As we embark on another summer at Take Action Camp, we are humbled to know that our camp has helped to foster thousands of youth in their pursuit to make this world a better place. We hope that your campers joins us this summer! 'Those 8 days [at Take Action Camp] have changed my life, and now i know exactly what I am going to do with my life. Not only did i learn more things in those eight days than I have in my entire eighteen years, but I gained self-confidence in such a short time, and more than 100 friends! I now know what I want to do, have the resources to use, and the belief in myself that will pull everything together! I attended We Day 2009 in Vancouver Last year and I thoroughly enjoyed the book supplied for all of the attended. I am hoping to attend We day 2010 as a volunteer as that was another pivotal day in my life. I am planning on taking two gap years to volunteer overseas and am now more confident in where my path is, thanks to Take Action Camp. Thank you again, and I look forward to the future! Interested in Me to We Take Action Camp?